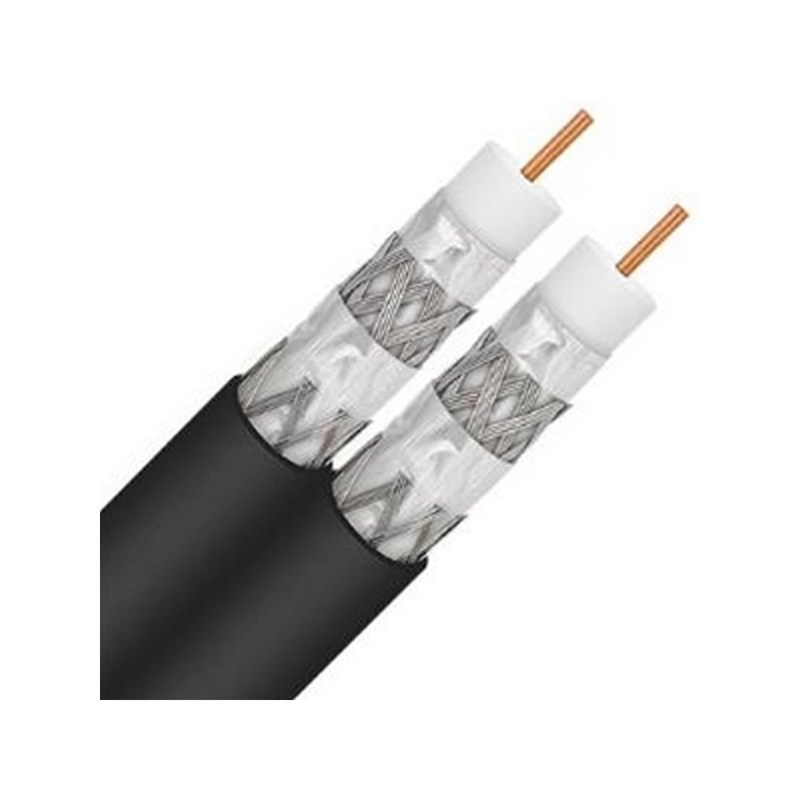 This black, dual, quad shield RG-6 coax cable is SBCA compliant and UL Listed. It has a solid copper center conductor and comes in an easy to use 500’ pull box with internal rolling reel. 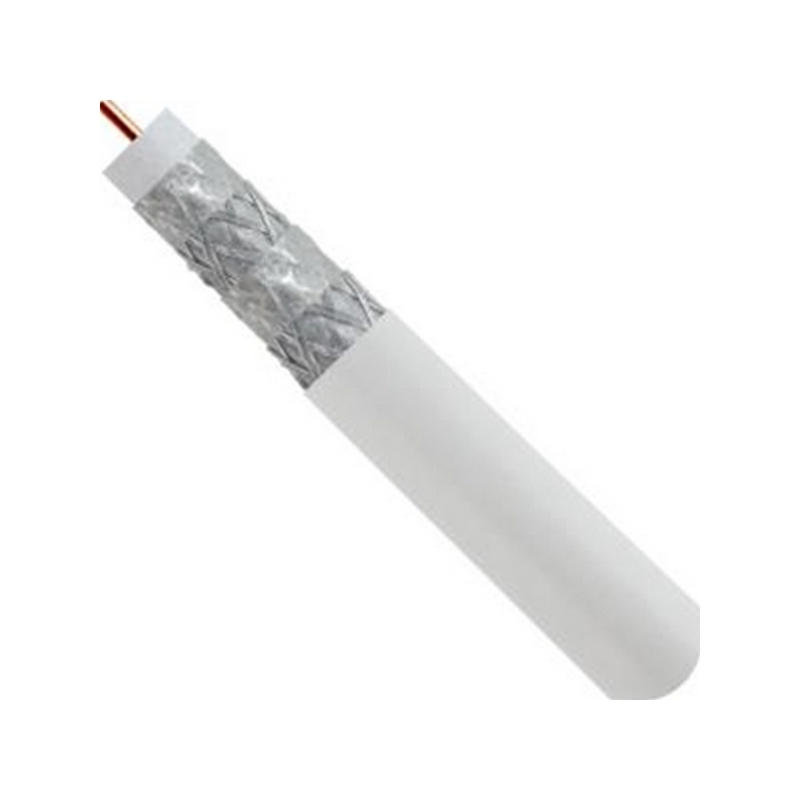 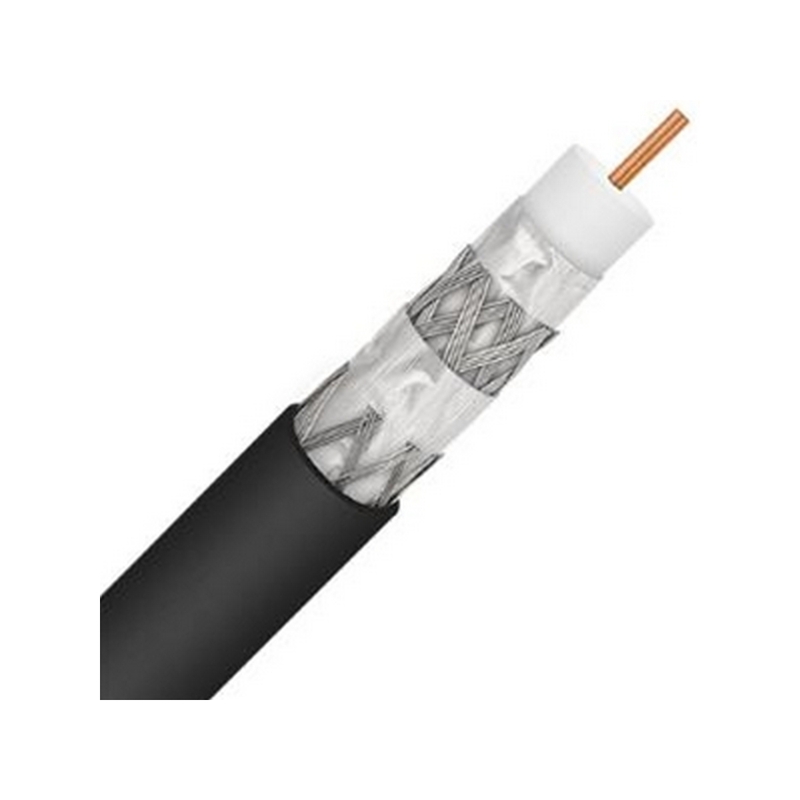 This cable has a UV resistant PVC jacket, foamed polyethylene dielectric, 100% foil shielded and foot markings for easy length cuts. 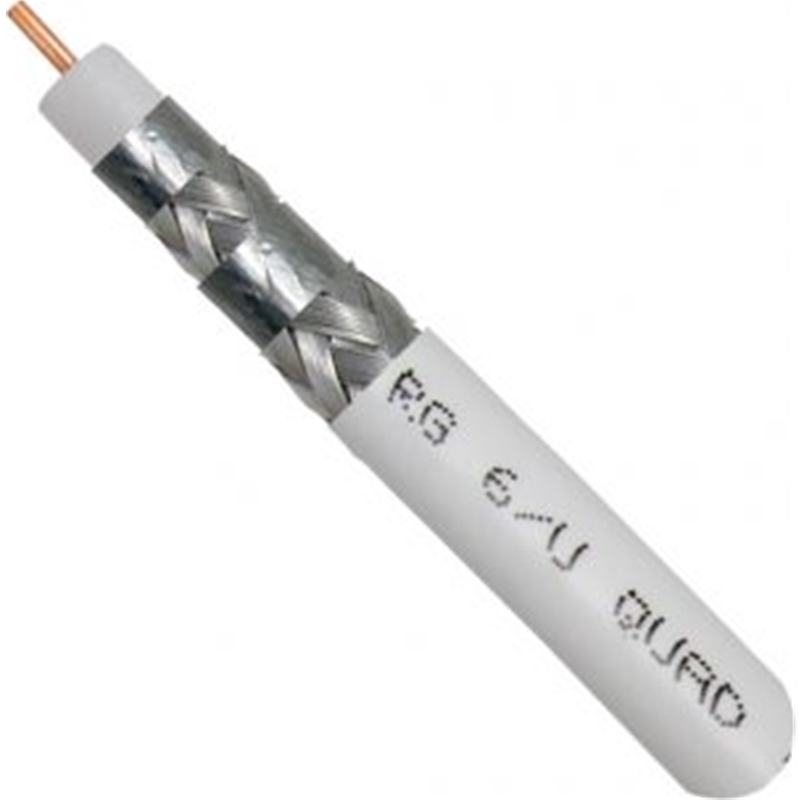 Excellent coax for all of your cabling needs! 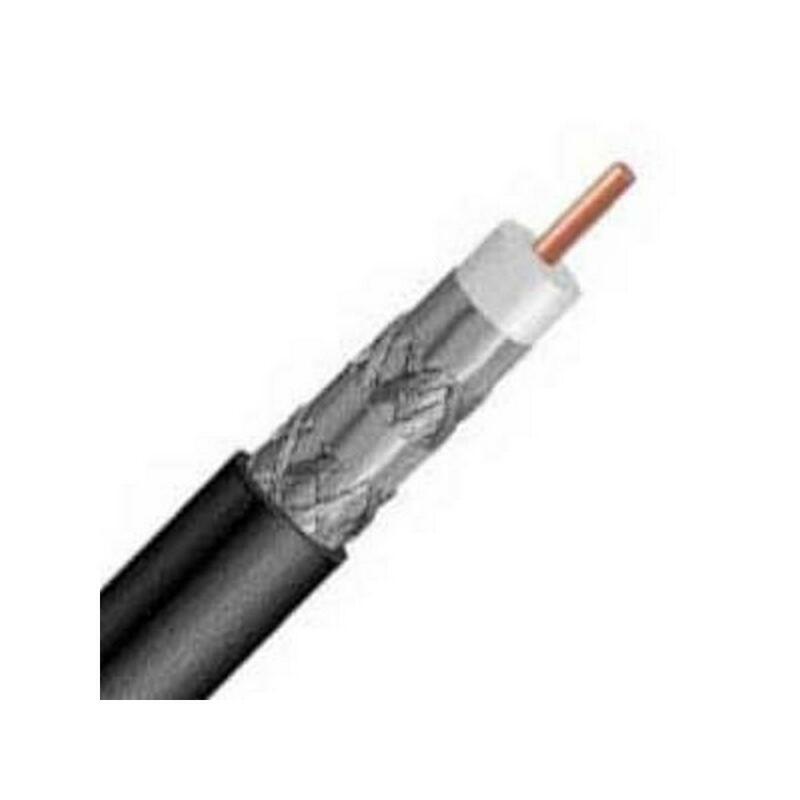 1000' Reel Black Quad sheild Solid Copper center DTV approved. 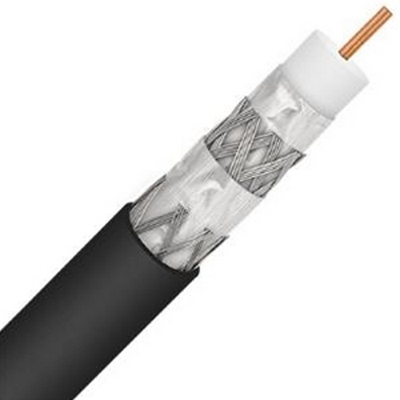 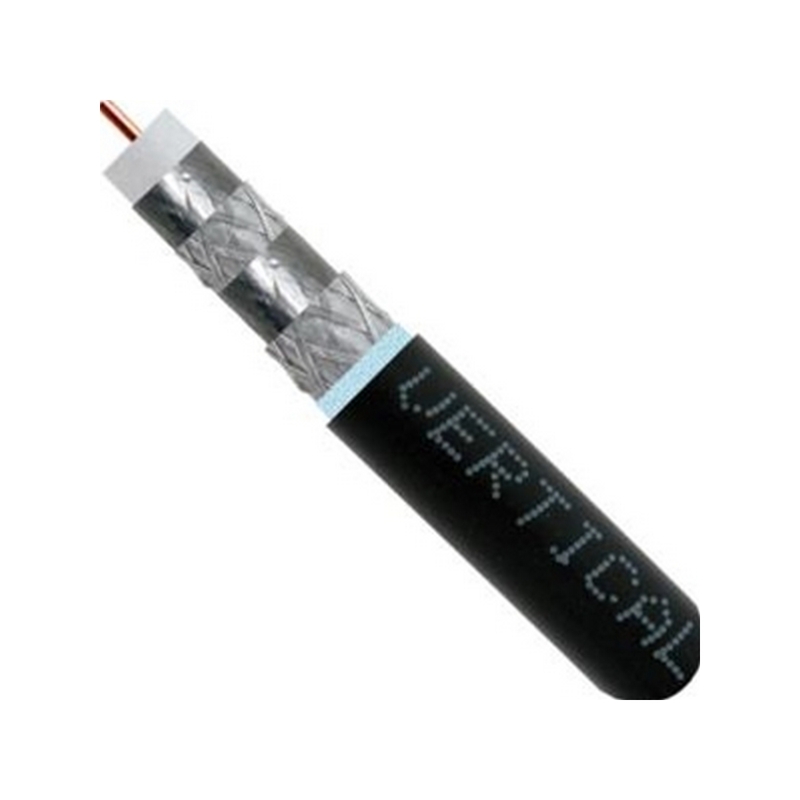 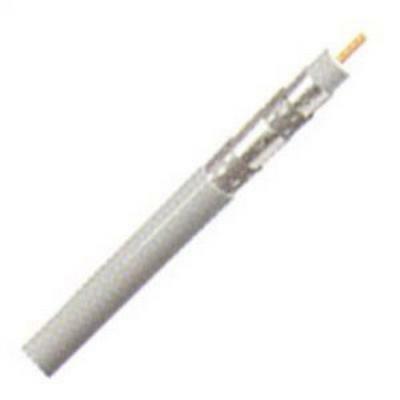 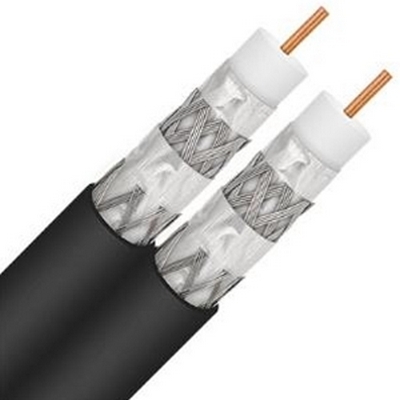 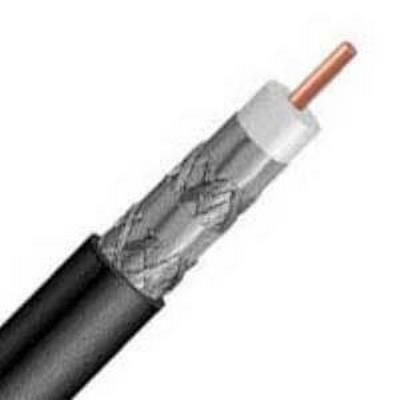 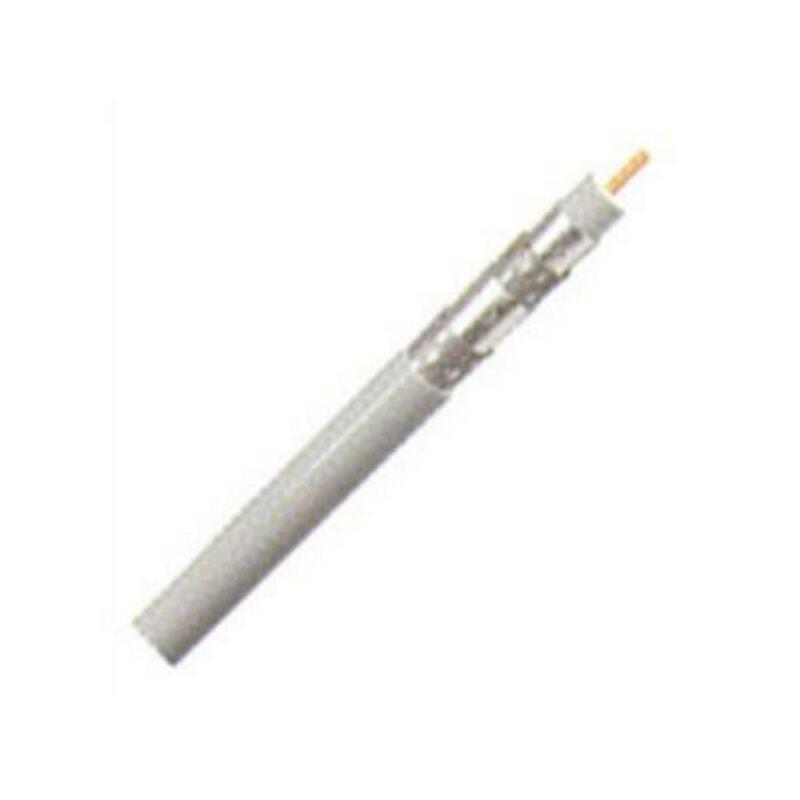 This black, single, quad shield RG6 coaxial cable has a solid copper center conductor. 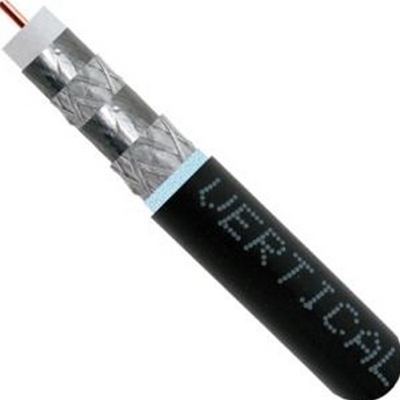 It is UL Listed and comes 1,000' reel in a box. It is swept tested to 3 GHz, consists of both 60% and 40% aluminum braiding, it is 100% shielded and the jacket is made of UV resistant PVC. 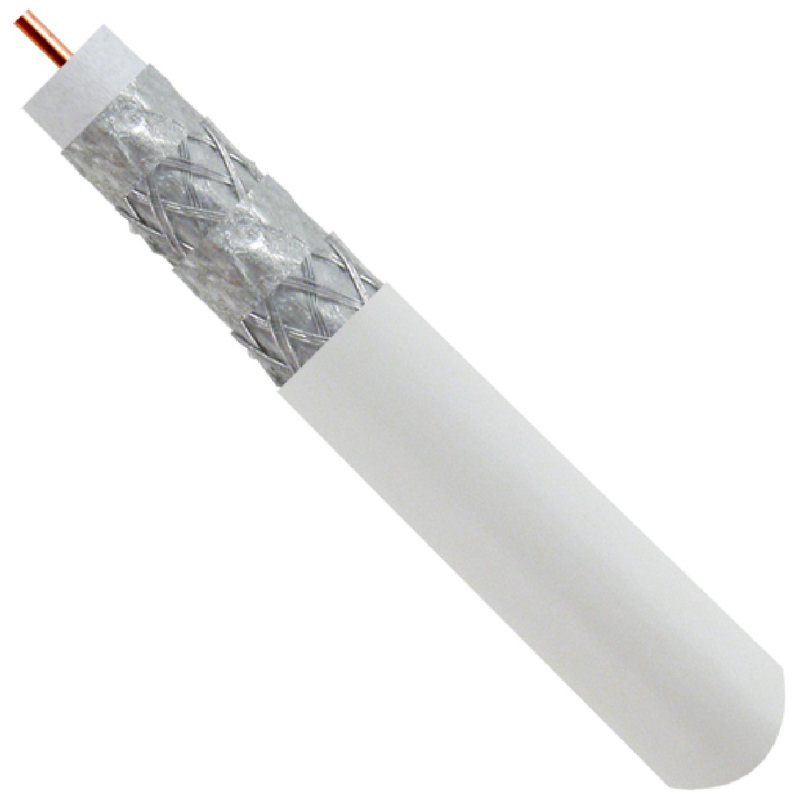 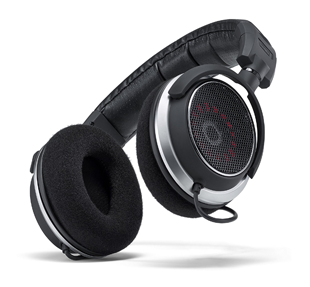 Works excellently for all of your cabling needs!